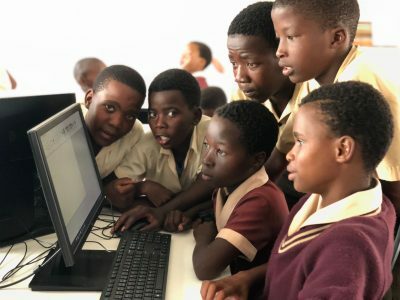 Fintech company, e4, recently handed over a newly renovated and equipped computer centre to benefit 667 pupils at Lelalani Primary in KwaZulu Natal. Working directly with the Robin Hood Foundation, e4 were made aware of the plight of the primary school and its need for a computer centre. The area where the centre was created, received a full makeover as well as several brand-new computers and workstations. Adri Führi, Group Chief Financial Officer, e4, says that the company is passionate about education and upskilling not only employees, but also its broader community: “Education and improving skills form a significant part of e4’s ethos. To work with the Foundation and the Lelalani Primary School has enabled our Durban-based team to become personally involved within a community that greatly needs assistance with basic computer knowledge.” Führi says that the e4 team will assist with training the teachers, after which computer lessons will start at the school for the learners: “The handover and training is part of an initial phase at the school. 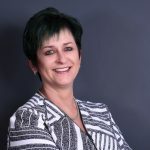 We will look at other ways in which e4 can support the school and continue to make a meaningful contribution.” e4 is passionate about empowering students and educators through technology and has other projects, similar to Lelalani, underway: “As a team, e4 has identified several initiatives that focus on education through the use of technology. In addition, we are working with small enterprises that will improve the quality of life for many. We have exciting projects that will be implemented this month, such as a waterless car wash at our Durban offices and a food truck at our Johannesburg offices. These initiatives will empower the individual business owners and also benefit e4 employees. We like to see a “win-win” for all and are very proud of our team that dedicates their time to help others,” says Führi. At the informal Lelalani computer centre handover, 11 e4 employees assisted to make the day exciting and . . .